We have heard earlier on various occasions of Toyota launching their FCV, but this is the first time when the world's largest carmaker Toyota has officially disclosed the timeline of launch of their Hydrogen based car, its pricing, images and video. 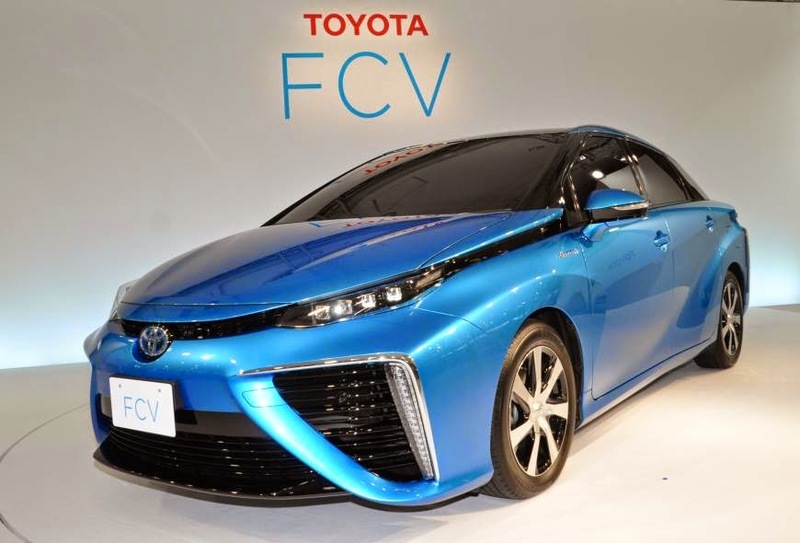 The first FCV Sedan from Toyota which would run on Hydrogen would be unveiled in March 2015 at a price of 7 Million Japanese Yen. The car would be launched in Autumn 2015 in United States and Europe as well. It would be interesting for you to know that the futuristic looking sedan can run 700 Kms on a single charge and the next charging would take just 3 minutes, unlike other Electric cars which takes hours to charge again and run almost half of the Kms that a Gasoline car can run on full tank. 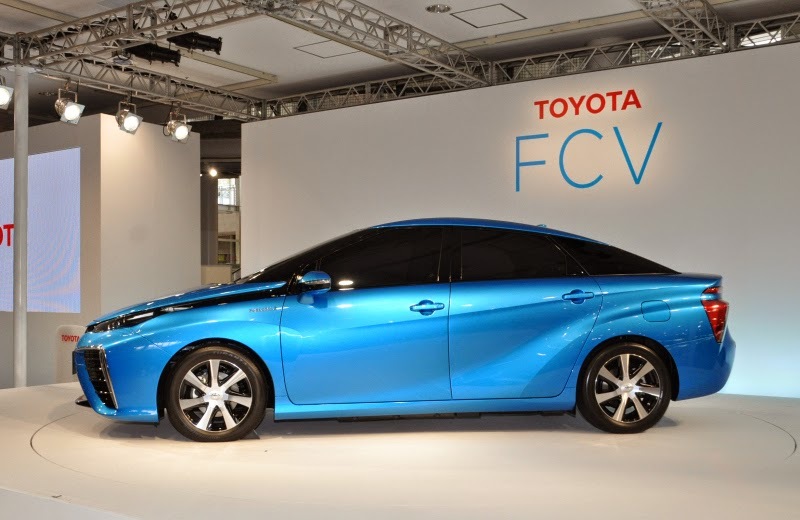 This feature makes Toyota's FCV the first ever real competitor to Gasoline cars present today. Despite having short charging time, the lack of a proper fueling infrastructure will be an impediment to successful commercialization of the technology. The Japanese government is planning to offer strong assistance to help fuel-cell vehicle technology achieve commercial viability as Toyota Motor Corp and Honda Motor Co prepare to launch hydrogen-powered cars next year. 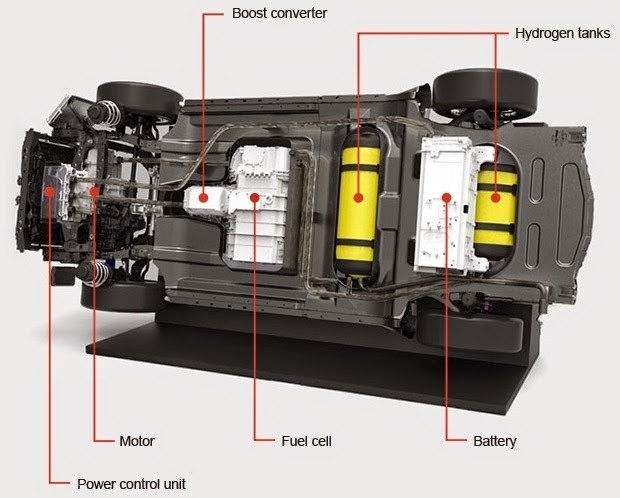 The car would initially be launched at only in countries where enough infrastructure is available or planned for charging Hydrogen based cars. The company says the car will only emit water vapor produced by the reaction between hydrogen and oxygen when driven, thus contributing to the environment as well, thereby chances of gaining enough support from the government. If the above pictures, don't give you an enough image of how would it look running on road, check out the Video below.